Head to Shiro in Worli with your date, family, friends or work colleagues from Monday to Saturday for an unforgettable dining experience amidst its exotic interiors. Shiro will offer a traditional yum cha experience every Monday–Thursday during lunch hours for INR 995 all inclusive with unlimited dim sums, sushi and makimonos per person. 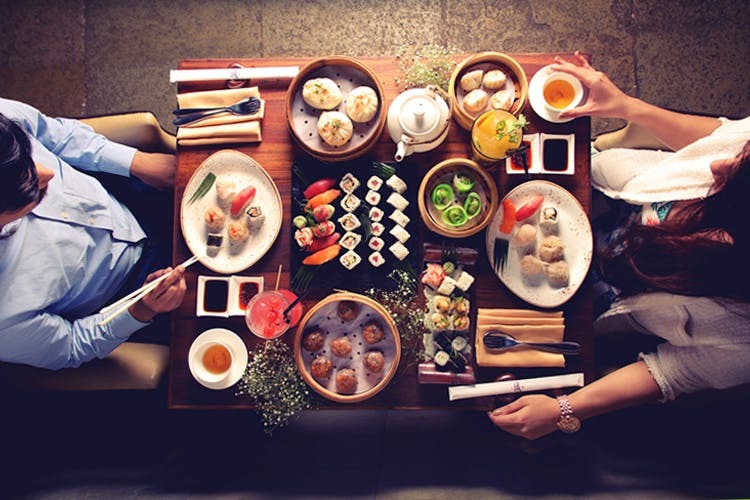 Imagine an elaborate spread with dim sum trolleys coming your way through the night along with with a live sushi and makimono station with a wide selection of Shiro’s best offerings to enhance your dining experience. A complimentary beverage, iced tea or fresh lime soda will complete this weekday lunch at Shiro. This is the best way we can think of to drive away those “it’s not Friday” yet blues. And who doesn’t love unlimited dim sums?